Los Angeles is one of the most popular cities in the state of California and in the entire US. The city is second to New York City when it comes to population. It is one of the cities that you should consider moving to, if you have made up your mind to move to the USA. It’s rich in cultural diversity owing to the fact that people from various parts of the world are living in the city. If you move to Los Angeles, you will not find it difficult settling down because you will easily find people from the same country with you who will give you a sense of belonging and help you feel at home in this populous city. Besides, the city’s residents are hospitable and friendly. This will help you to quickly settle down and feel at home in the city. Whether you are moving to LA alone or with your family, you will always manage the stressful process of relocation with proper planning and useful resources. Here are some of the moving tips that you should apply when relocating to Los Angeles from the UK. There are a number of international moving companies out there. But they differ in the quality of the shipping services to Los Angeles they offer. You should search for the best freight forwarder in your locality and hire its services. If you really want to hire a removals to LA from the UK that will help you to have a smooth moving experience, you should consider hiring our shipping to USA services. We have build credibility and reputation among our clients thanks to the quality of services we offer them. If you need help with packing, we have a team of professional packers who will ensure that your items are well packed no breakage. We can also dispose any waste left after packing for you. We also offer door-to-door collection and delivery service to Los Angeles from London, Glasgow, Bristol, Birmingham, Manchester just to name a few, in case you are not able to bring your items to our departure location. We have taken time to develop various removals services to Los Angeles to suit various needs. Our shipping cost to Los Angeles is highly affordable as well. Above all, we guarantee you satisfaction and safety of all your items. 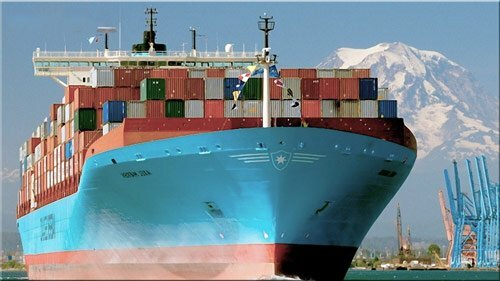 We offer full container shipping to Los Angeles as well as part load moves. With us you can send just one box or the entire contents of your house. As a leading air freight and sea shipping company to LA, we have licenses and accreditation with several international and local organisations and bodies in the moving industries. Keeping to the standards of these organisations and bodies show that we are very efficient in offering our shipping rates to Los Angeles comparison services. We don’t have history of delays and complaints from these clients in our records. So, when you hand over your property to us, you should have rest of mind that your property is in safe hands. Now that you have found us as a reliable business that will ship your item to Los Angeles, the next thing you should do is to get ready for the move. Here is what you should do to get ready for the move to LA from London, Glasgow, Edinburgh, Birmingham, Bristol, Liverpool or Manchester. Give yourself and family enough time to make adjustment regarding the relocation. Explain your plan and expectations before, during and after the move to LA from the UK to them and then give them time to understand it fully. Have a positive attitude towards the immigration to Los Angeles. Give special tender loving care to your children during these moments of your preparation. Answer all their questions and clear their confusions. Involve your children in the preparation. This will help to ease their concerns. Make sure that you pack your personal belongings, furniture, paintings, electronic equipment and documents on time before the moving company to LA arrives. Use the right packing materials. If you find packing difficult, you can hire our packing services. 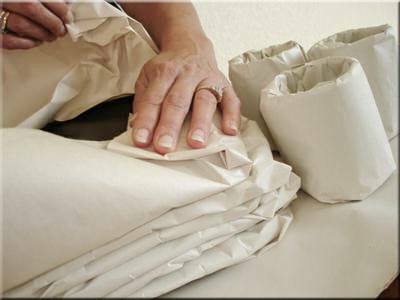 Our professional packers will be at your residence on time and with the right packing material. In case you have a pet and you will like to relocate with your pet to LA, make arrangement for bringing pets to Los Angeles. Find out if the rules and regulations concerning owning of pets in California and see how they apply to you. Get proper shipping insurance for your property. Though, as an experience packing and moving to LA company, we will always make sure that your goods are delivered to you safely. But it is always good to secure your items against certain risks such as elements of weather and other unforeseen mishaps. When you have settled and gotten used to the environment, you can buy a home in LA if you like. In case you have storage needs, there are self-storage facilities in the city. You can rent one to keep your furniture until you get a suitable home. Water and electricity are provided by Los Angeles Department of Water and Power while Southern California Gas Company provides gas service. Each municipality has its set up fees. But in general, the price ranges from $13 to $40 for the electricity and water while that of gas services is $25 to $35. If you are living in Long Beach, the gas service is provided by Long Beach Gas and Oil and the initial set-up cost ranges from $25 to $35. Garbage collection service is provided on weekly basis. Los Angeles has an Automated Garbage Collection System which utilises a specially fitted refuse truck. The truth is that resident of Los Angeles enjoy numerous amenities including cable, telephone, and mobile phone services. It has also a good transportation system. The public transport system is function in case you don’t have a car or you prefer using them. You can also use the cab to commute. There are education system and institutions of various levels for your children and you in case you want to upgrade your certificate. Restaurants, cafés, bars and other eating and drinking spots are also available in the city. The city boasts of numerous places of interest. Whether you are coming to Los Angeles for a vacation, for studies or to look for employment, you will surely find the city interesting and entertaining. There are a lot to do and see in the city. So, if you are moving and shipping to Los Angeles from London, Sheffield, Cardiff, Newcastle, Kant, Surrey and other part of the UK, expect nothing but the best. If you would like to find out more details about any of the topics above please contact us today. With our help you will learn how to move to Los Angeles from the UK minimizing all moving to LA and shipping costs. I want to move to Los Angeles and need some help? Get in touch! We are always to advice you for free. We can even put you in touch with some families we have moved to LA.